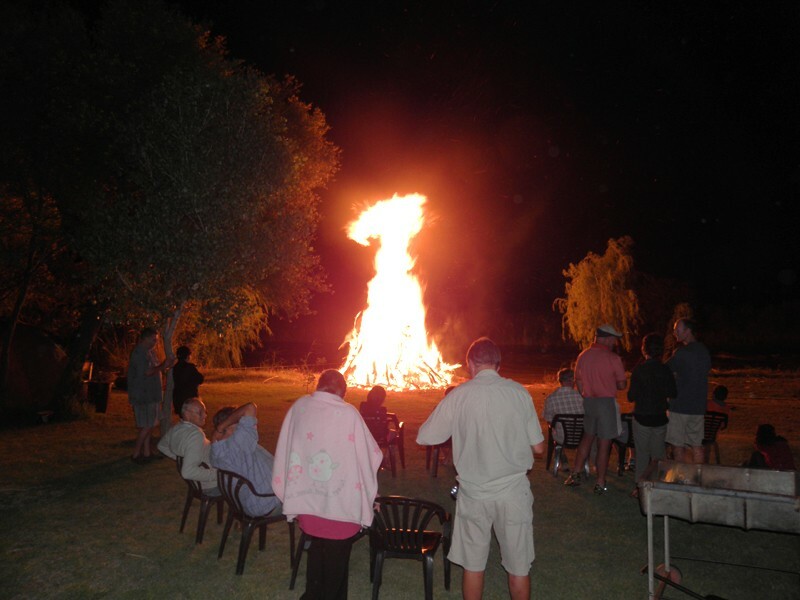 Set in the stunning surrounds of the Karoo, this perfect farm get-away combines the breathtaking beauty of the veld, expansive horizons, blue-grey mountains, wide-open skies and all-year round exciting river rafting. 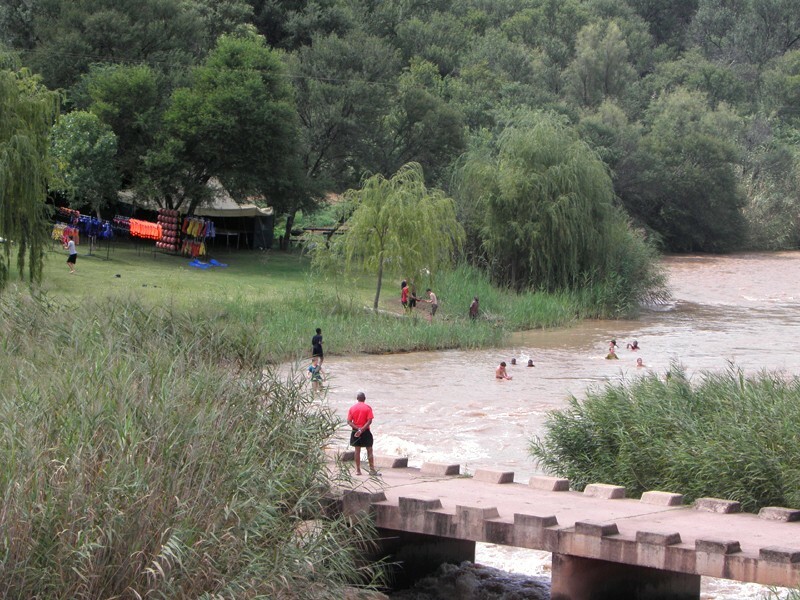 Perched on the banks of the Great Brak River at the confluence of the Teebus, this idyllic spot offers inviting accommodation and first class facilities. 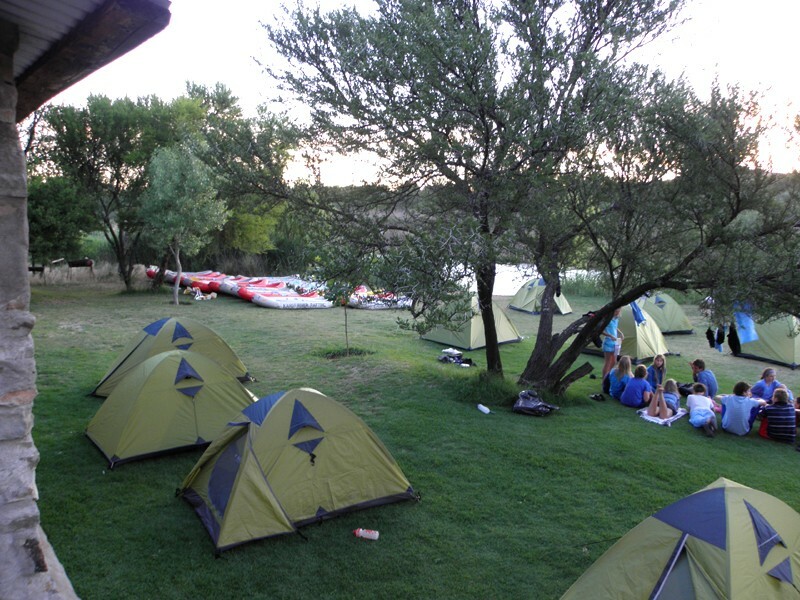 Perfect for families or groups looking for adventurous fun-filled weekends and relaxation. 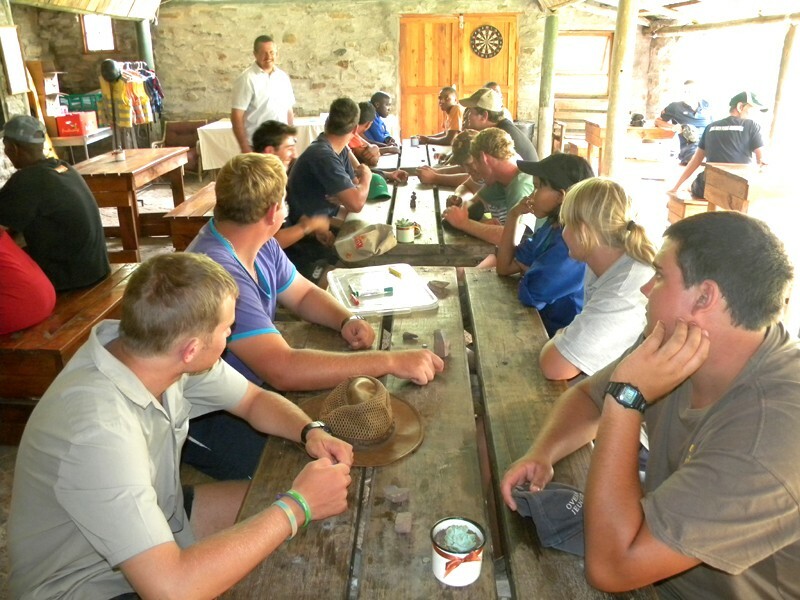 Also the ideal get-away for companies wanting away-time for team-building or teachers looking for action packed development programmes for children and teenagers. 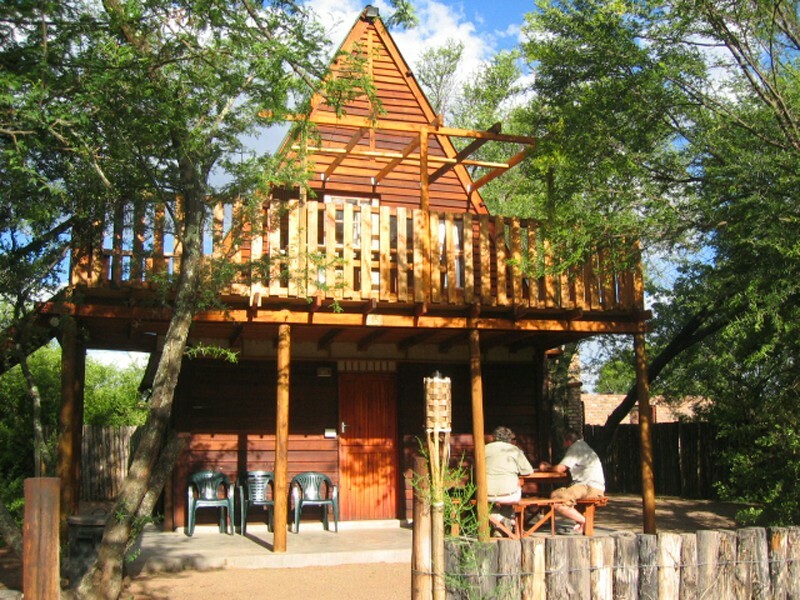 Karoo River Rafting and Cabins are run by James Jordaan and his wife Delina. James is an experienced canoeist and rafter who has travelled extensively and will ensure that your visit will result in fond memories for years to come. 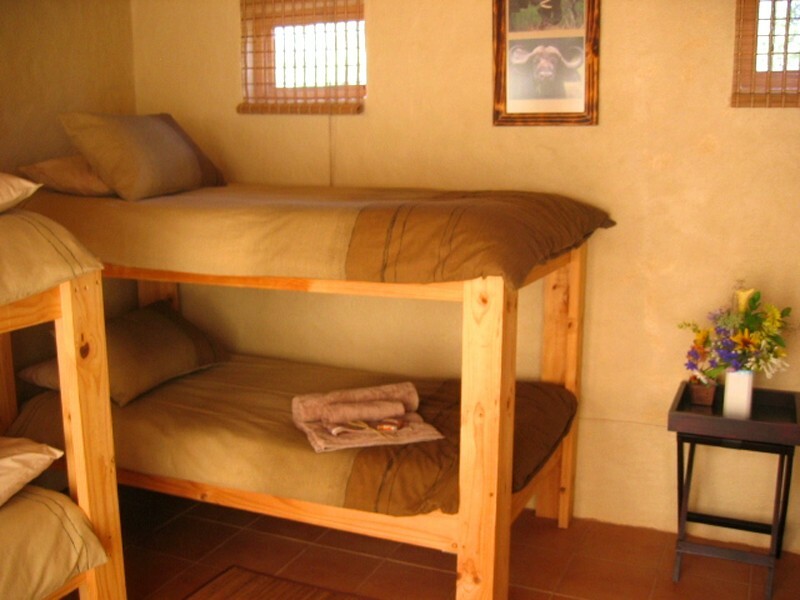 Sleeps 2 people comfortable and 2 mattresses in loft. (Mattresses in loft are ideal for children). Bath, toilet and basin on-suite. Sleep 12 people on 6 bunker beds. Use outside ablution blocks with showers and toilets. This room is directly below the A-Frame Cabin. Sleep 3 people. One bunk bed and a single bed in room. Use ablution blocks next to room. Sleeps 6 people on 3 bunk beds. (Space for 1 single bed also) This used to be our storage room in the hall so its entrance is in our hall and we recommend it for the people who will be up the latest because of the noise in the hall. But it’s got a lovely view over the river and nice to be close to the action. Use outside ablution blocks. 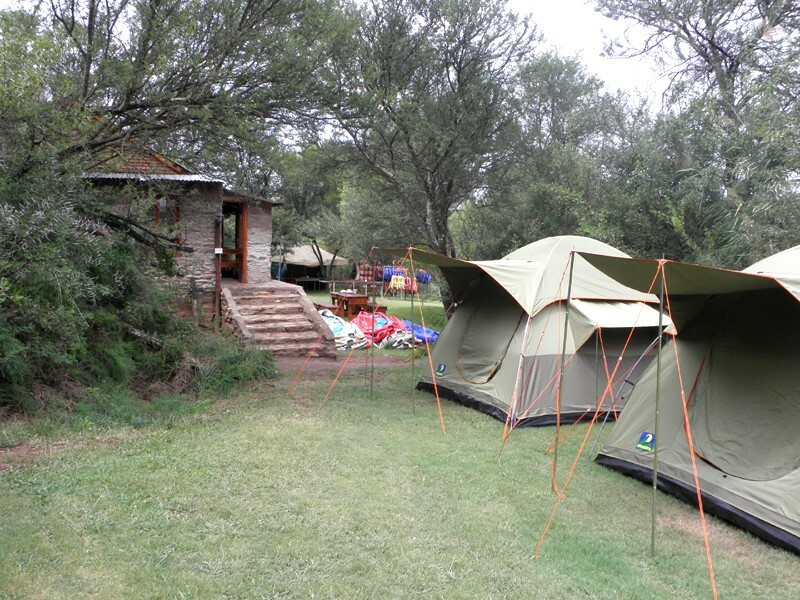 We use 3x3 tents for more accommodation. We can accommodate 2 - 12 people. 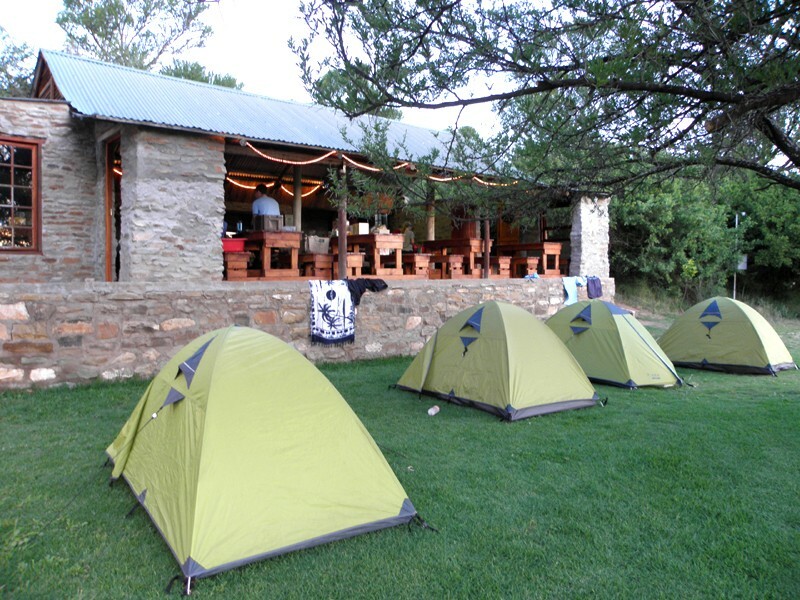 We can equip these tents with mattresses. They are perfect for a couple not wanting to share a dormitory room with other guests. Our campsite does not have marked plots. You can pitch your tent or park your caravan where you like. There are a few electricity points from where you can lay an extension cord. 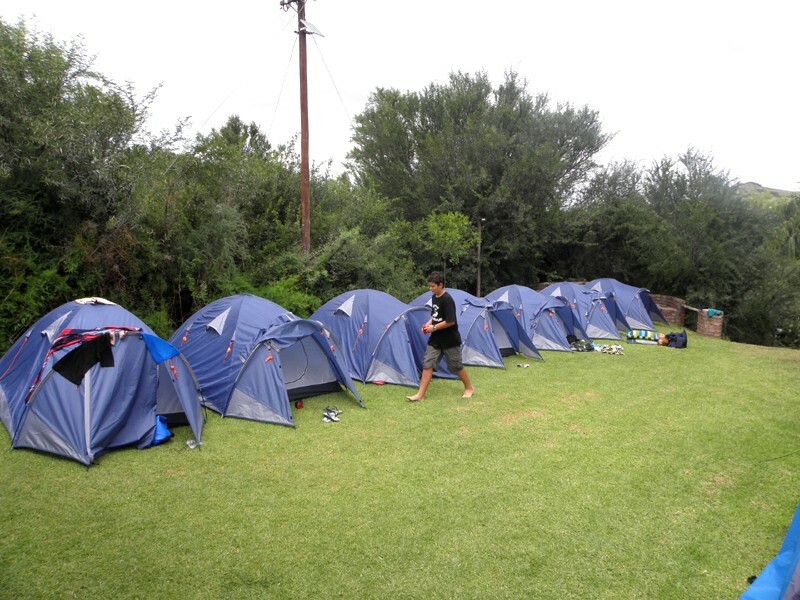 The campsites are covered with grass and do have shade. We only take in a limited amount of people in at a time, to make your stay comfortable and memorable. Two hot water showers in both men and women sides. with 2 toilets in each and basins. The communal kitchen have the following facilities: Gas burner, Microwave, Toaster, Kettle, Fridge and Deepfreeze. All cutlery and crockery included. The hall overlooks the river and has seating space for 40 - 50 people. Braai and bar area with a Deepfreeze and Fridge. 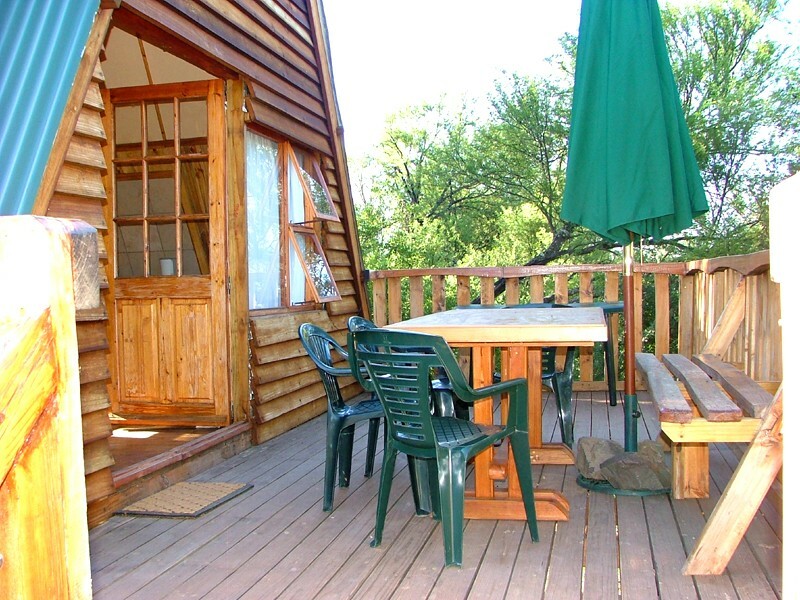 After almost 10 km you will find our river cabins.